A business group in Fitzrovia has told its members that there is enough accommodation on offer for homeless people and that the vast majority of rough sleepers choose to stay on the streets, an investigation by Fitzrovia News has found. The claim by the business group comes after government statistics released in February showed a huge increase in rough sleeping in London. 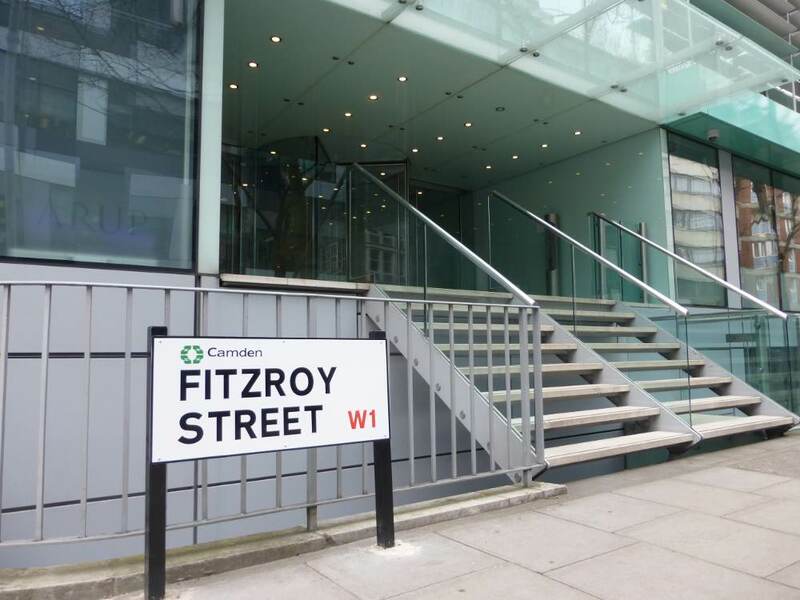 The Fitzrovia Partnership is based at 13 Fitzroy Street and works in a public-private partnership with Camden Council. The statements were made in a series of reports in February and March this year by The Fitzrovia Partnership Business Improvement District (BID) which works in a public-private partnership with Camden Council. The report to the board of directors reveals that at meetings with its members employers were told to tell their staff: “There is enough accommodation in Camden for homeless people to be placed if they wish to engage”. The report also reveals that the business group told its members “Roma gypsies from Marble Arch are also trying to operate in the area”. Staff from Camden Council were at the meeting and no-one appears to have challenged the crime report which singled-out the Roma as a problem. The crime reports were given by Dave Fereday, a business improvement district consultant currently working for The Fitzrovia Partnership. The report to the board of directors gives details of membership, environmental projects, finance and budgets, crime and anti-social behaviour, and marketing campaigns. Nowhere in the 35 page report seen by Fitzrovia News is there any mention of a housing crisis, increasing rents, or an acknowledgement that rough sleepers are themselves often victims of crime. The report does not acknowledge the complex nature of homelessness, poverty, and the change to the benefits system over the past five years, or the reluctance of property developers to fulfil their social housing planning obligations. The 35 page report singles out rough sleepers and Roma as a problem but has no mention of a housing shortage, increasing rents, or an acknowledgement that rough sleepers are themselves victims of crime. The main driving force behind The Fitzrovia Partnership is property developer Derwent London, and Gary Reeves a business consultant based in Lincolnshire. Fitzrovia News understands that Reeves works part-time but is in effect the chief executive of the organisation. “The Fitzrovia Partnership works with Camden Council and the Safer Streets Team in partnership with other agencies to prevent rough sleeping, by offering viable alternatives for those who sadly find themselves sleeping rough. Through this partnership, this type of activity has reduced but is still evident in the Tottenham Court Road area — a rough sleeping hotspot. “We feel that the most effective way of helping these individuals is to report them to Camden Council who can then take the appropriate action to help and support them and address their needs as quickly as possible, should they wish to engage with the Council. “The Fitzrovia Partnership will continue to be an effective partner working with the Council to reduce rough sleeping and associated anti-social behaviour and begging in the area to ensure Fitzrovia is a clean and pleasant environment for our members, residents and visitors”, says Lyons. However, Camden Council say there are only five rough sleepers on any one night in the whole of the borough, according to the statistics they submitted to the government in December 2014. The council say they only estimate the number because it consistently returned counts of less than 10 rough sleepers since the middle of the last decade. Cabinet member for community safety, Cllr Jonathan Simpson told Fitzrovia News: “Camden has long been a leader in London and nationally on responding to issues around rough sleeping and street activity. “We are proud of our performance to date, which remains good despite levels of rough sleeping rising nationally and across the capital. Council services are also working closely with the police to tackle issues relating to street based crime,” said Cllr Simpson. 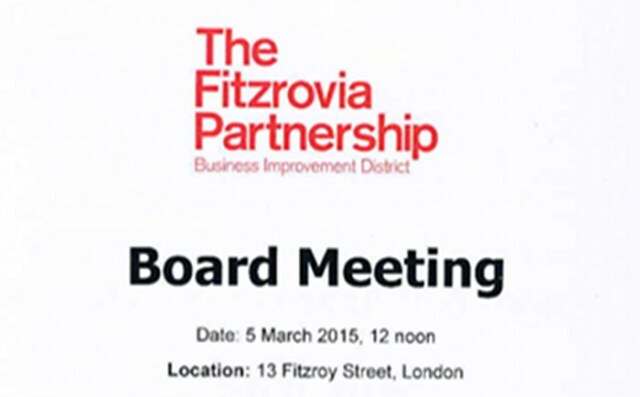 The Fitzrovia Partnership has an income of £800,000 per year collected by Camden Council on its behalf.